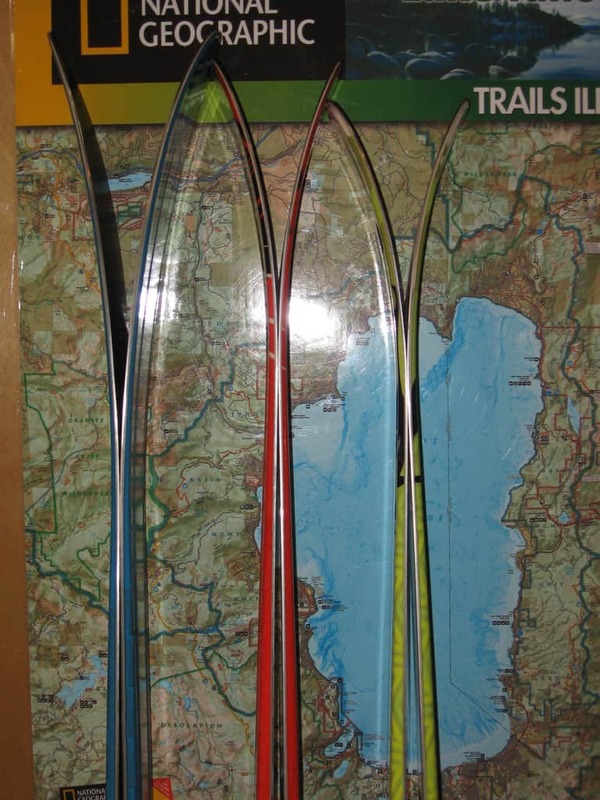 Back in February I was lucky enough to get to demo the entire 2010 Black Diamond Power Series Ski line. 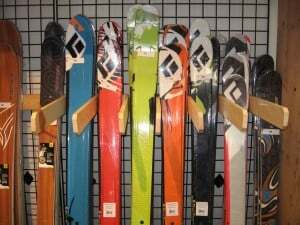 Now that we have all of these skis in the shop for a side by side comparison I thought it would be a good time to update my reveiws a bit and answer a few common questions about how the skis compare. I’m going to focus on the three newest (and biggest) models in the line the Megawatt, Justice, and Zealot. I have skied the Verdict and Kilowatt as well so if you have any questions about how they compare feel free to ask. 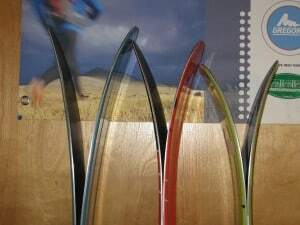 Overall the entire Power Series lineup is awesome, and compares well to the offerings from any major ski manufacturer. 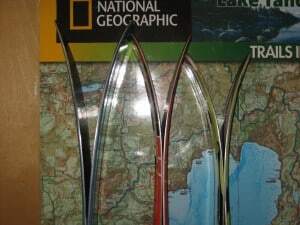 If you haven’t tried BD skis or still see them as only suitable for tele skiing or superlight long distance touring; do yourself a favor and demo a pair, they will change your mind in a hurry. The Megawatt was new for the 08/09 season and aside from spiffy new blue graphics, is largely unchanged for the 09/10 season. BD says that the tip is stiffer and that they have optimized the fiberglass layup but I don’t think either of these changes will significantly effect the way they ski. There is no reason to change what was already one of the most versatile powder skis on the market. 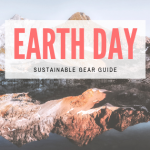 Although its waist dimensions ([email protected] and [email protected]) are squarely in the ultra-fat ski range and the huge rockered tip provides as much float as anyone would need, these are surprisingly usable all over the mountain. They may not be the most fun ski on hardpack, but they won’t have you heading to the car to switch skis when your local resort is tracked out by lunch. They have minimal camber underfoot and a large 42m turning radius which makes them very comfortable making big turns through variable snow and the big rockered tip makes them easy to maneuver in tight spaces in deep snow. That big rockered tip gives it the surfy/smeary feel in powder that makes people fall in love with powder specific designs. 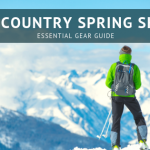 These are also great for touring in soft snow, the tip makes it easy to break trail in deep snow and the regular camber underfoot provides good grip when skinning. Also the 188 weighs only 10lb 4oz per pair, surprisingly light for such a big ski. I reccomend the new BD Ascension split skins for these because regular skins get very heavy when they have this much surface to cover. The Justice is an all new ski for 2010 and has been getting quite a bit of attention from the ski community. It is a hybrid of the powder specific geometry and shape of the Megawatt in a lighter and more all mountian package. At 115mm under foot it fits nicely in the line in between the 120-125mm Megawatt and the 110mm Zealot. It has more camber, a little more sidecut and much more subtle rocker than the Megawatt. They kept most of the characteristics that make the Megawatt a great ski and put them a package that is more usable for people that want something they can ski everyday. It will be great for people that want a ski that is great in powder and usable all over the mountain, but don’t need an ultra-fat like the Megawatt. Like the Megawatt, the shorter length is perfect for most ladies and smaller guys. Don’t be afraid if 175 is longer than you are used to skiing, the tip rocker makes them feel short and they are very light and easy to ski. The Justice also will be the ski of choice for backcountry skiers that love the shape of the Megawatt but want a lighter ski to take on longer tours. The 185 Justice weighs only 9lbs 7oz per pair and has only a slight kick tail not a full twin tip, making it ideal for touring. The Zealot has been in the BD line for a while, but the 2010 version gets a significant makeover. Still available in 182cm or 192cm and 110mm at the waist, for 2010 they softened the ski up a bit and added some subtle rocker to the tip. The result is probably the most versatile ski I’ve ever ridden. It will rule the resort in all conditions and be light enough to take anywhere. It’s got a much more traditional camber profile than either the Megawatt or Justice through the body of the ski which makes it feel very lively. 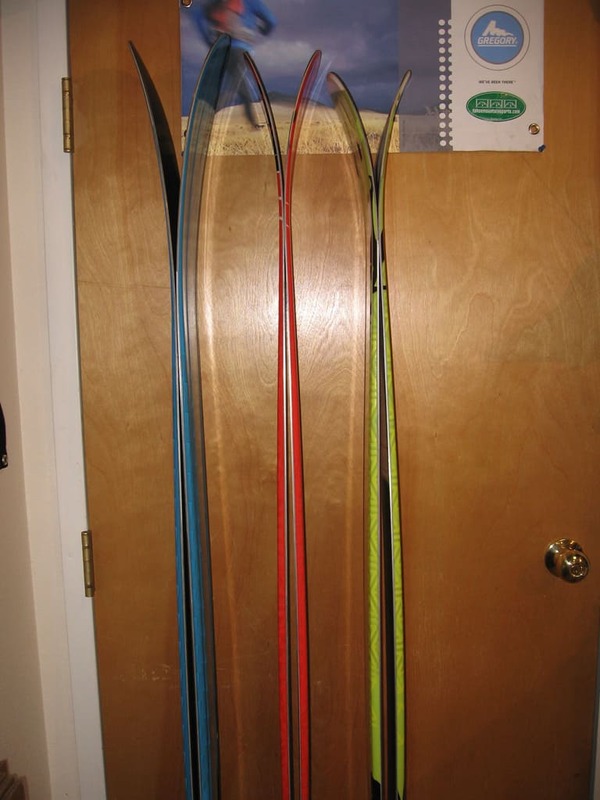 You can definitely feel the camber in the tail compared to the other two skis, these want to snap from turn to turn and carve on hard snow compared to the Megawatt and Justice which are content to slide and smear around. I didn’t notice the tip rocker at all on hardpack but it was very noticeable in soft and variable snow. They just charged through crud and didn’t feel hooky at all in variable snow. They don’t quite have that powder specific floaty/smeary feeling that the Megawatt and Justice do in pow, but this is a different type of ski. It’s much more of an all around big mountain ski versus the other two which are more on the powder specific end of the spectrum. Incidentally the 182cm Zealot weighs 10lb 4oz per pair, exactly the same as the 188cm Megawatt. Light enough to tour on but by no means an ultralight ski, these feel solid and powerful in any snow conditions. How does the 01 Zealot compare to the Volkl Katana? 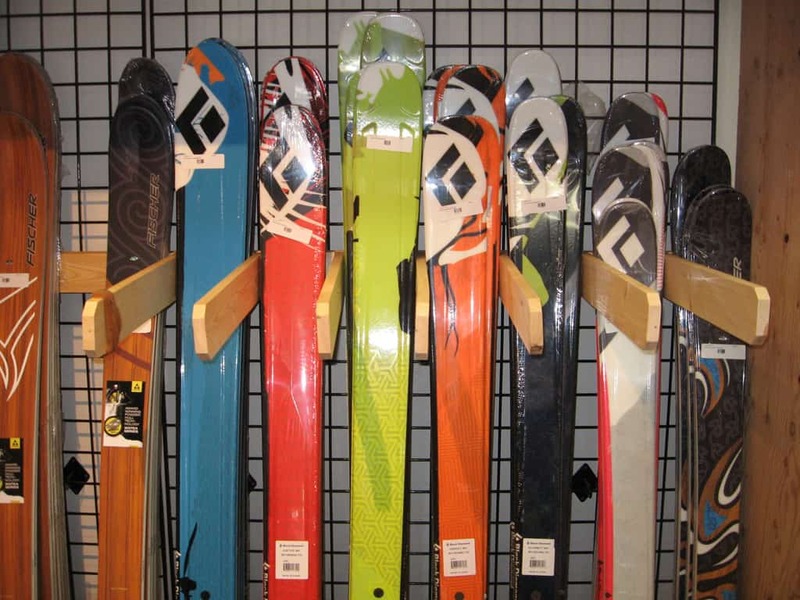 I am trying to pick a new ski. 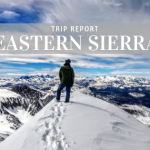 6’1″/200 expert skier and live in Big Sky, MT. 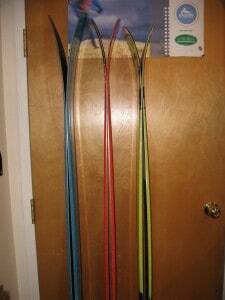 I will use the ski as my daily board. I have heard good and bad about both skis. Some say the Zealot is hard to handle esp. in tight spots and I have heard that both have durability issues. They have near identical dims. 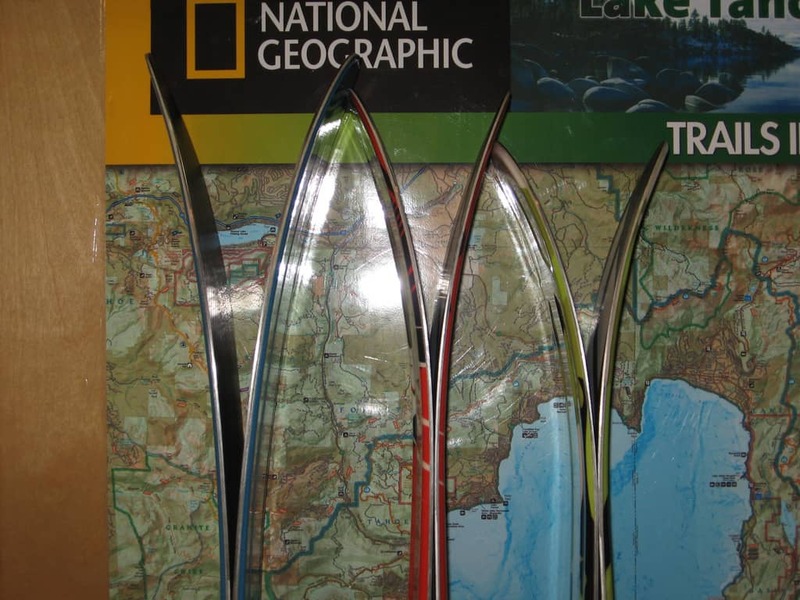 Well, although the dimensions are similar there are significant differences in these skis that make them ski fairly differently. First off, anyone that says the Zealot is hard to handle is probably talking about last years version or this years 192. They softened the ski and added tip rocker so this years lime green Zealot is a different animal than the old brown ones. The 182s never felt too much for me at 6′ and 175lbs. The 192s did feel like a little much but I can see someone a little bigger than me that likes to ski fast really loving them. As far as the Zealot vs Katana goes the differences in construction and sidecut make them more different than just looking at the dimensions would suggest. The Katana has a layer of titanal which makes them heavier and have a more damp feeling. The Zealot being all birch/poplar is going to be lighter and have more of a lively and snappy feel. The Zealot also has less sidecut and a bigger turning radius (30m vs 25ish for the Katana)so they may not feel as turny on a groomer but will be less hooky in crust or variable snow. Hope this helped! I have been on a pair of K2 World piste 165’s for the past few years. Had a great time on them but I just wanted a little more underfoot. I picked up a pair of 175 Kilowatts(last years) and I can not ski them. Very difficult for me to turn especially in the tight stuff. I think they are just too stiff for me. Sounds like this years BD are a bit softer. I would prefer a ski that is easy to turn over one that likes big fast turns. Any recommendations? If the Kilowatts are too stiff for you then you probably want to ski with a K2 ski. In the Black Diamond line, you cannot go any fatter, yet still get softer. 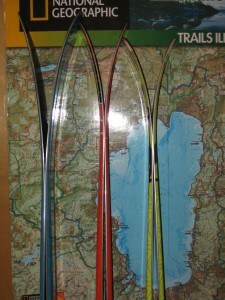 Some of the Salomon skis are also pretty soft and fat, so that might be another good choice for you. I currently ski on a pair of 190 explosives and love them. 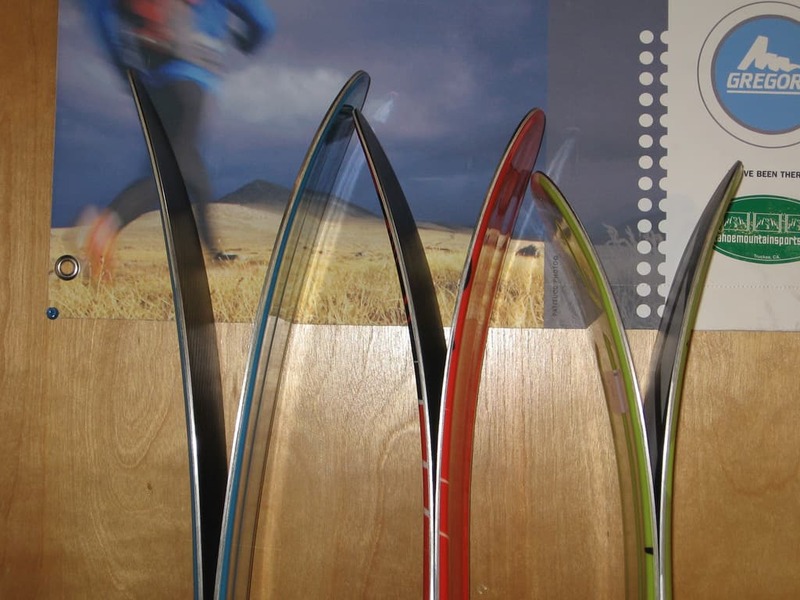 Looking at modernizing the quiver with a pair of zealots. Should I go 192? Well if you like the 190 Explosive you can definitely handle big skis, I’d go 192 for sure. If you are looking for a deal on BD Zealots during Nov/Dec 2010, give us a call or email. We have some deals on the new version we can only talk about over the phone…hush hush! And as a reply to one of the posts above regarding the softer Black Diamond skis. The Drift is your answer. This year BD announced the Efficient Series and the Drift is the widest in the line. Sweet backcountry touring machines, but a little light for the resort for me.